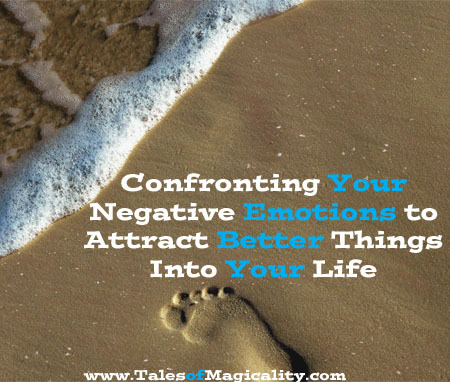 In last weeks post, you learned how to perform a Negativity Analysis on yourself to improve your thoughts, flip your magnet UP and to attract the life that you know you deserve. I hope that this exercise has proven to help you in your journey and that you are confronting negative thoughts and are finally able to move past them. When I first describe this process to some of my clients, I often get a little reservation and fear on doing this process. So I find that sharing one of my own experiences can help them take the leap of faith in doing their own negativity analysis and ultimately will help you. So today, I will describe to you in detail what my very first experience was like in an effort to help you along with your own process and self discovery. To preface I was about 8 months pregnant at the time and woke up with a horrible Charlie horse and then had to use the restroom. So as I laid back down I starting feeling anxious about this upcoming business call and I kept worrying it wasn’t going to be a good call. So I decided to confront those feelings with the negativity analysis and here’s what happened. As seen on Single Mom & Happy? So I was already in a quiet and dark place because it was the middle of the night. 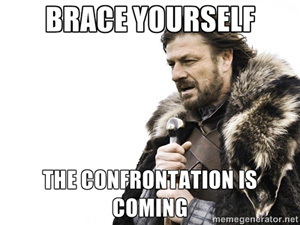 So I focused on my fear and anxiety of this upcoming call. Then I remembered I needed to describe it. So I allowed my thoughts to lead me and I realized it was yellow and it was like a blob form and it smelled sour and then I touched it and it was squishy! Then I waited for it to talk to me. So I looked at it right on and just stared at it until it spoke to me. It said that it was a defense mechanism to help me because it didn’t want to get rejected. It said it’s just there for me just like my mom would protect me when I was little. But then it said it realizes now that it’s expired (that’s why it smelled so sour) and it’s no longer needed because I come from greatness and I do great things. It was such an incredible moment for me to find out why I’ve been so scared to move forward with my dreams and business calls like these. It was because I was afraid of the potential rejection. But because of this fear, I was setting myself up for rejection. The next day my call actually went great—so much better than I had anticipated! And I owed it all to my negativity analysis. How was your first experience? Please share by commenting below! We would love to hear all about your analysis. Rayna, I love this analysis you did! Very insightful and really proves how important it is to tune into yourself, ask yourself questions and search for the answers within…because they are there! Thank you so much Mary!! It really is such a great release of underlying subconscious emotions that I didn’t even know were present!